The end of the world is nigh! So what will you be wearing? You will have heard by now that the world is meant to be ending soon. 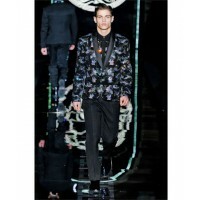 Either on the 12th December 2012 or 21st December – either way, it doesn’t pay to slouch. If this is our last hurrah, it’s also our last chance to pull together the perfect outfit. And as we’re all about to head into the never never, it might as well be your ULTIMATE, no expense spared, fantasy outfit. 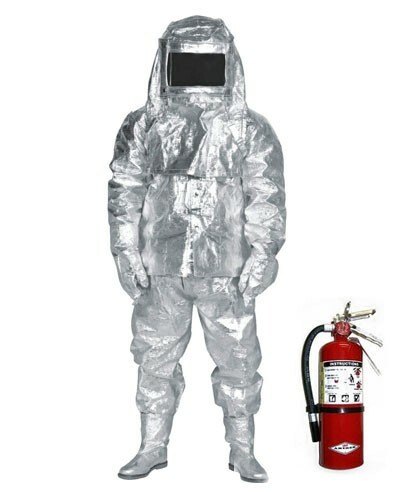 I asked around the office to see what people’s dream outfit would be for the final grand exit. 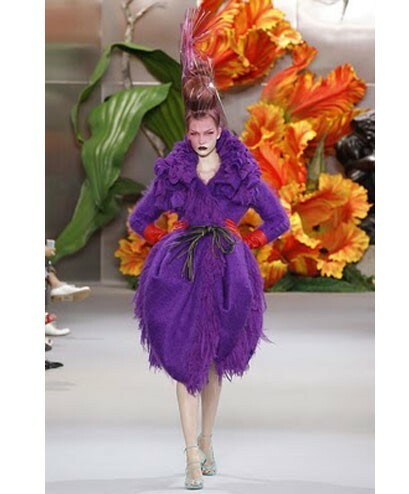 Melissa, (boss lady) wanted something from John Galliano, before he went nasty of course. Seems a risky proposition to me, she’d better watch the company she keeps come Judgment Day. She said she's going to wear the dress with the blue skirt first, then when sun goes down, the purple coat. Then when the sun rises again the yellow jacket. I told her there won’t be any sunrise, “It’s the end of the world, Melissa, you’re fried”, but she won't have it. You can’t fight these optimists. 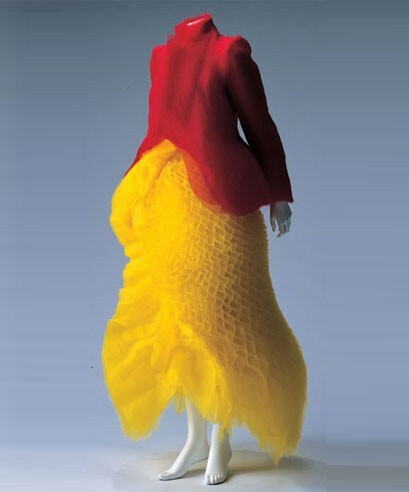 Hayley (the arty one, and curator of our excellent Wearable Art board on Pinterest) is going for a Junya Watanabe outfit – a transparent red jacket and yellow skirt that looks like tripe. 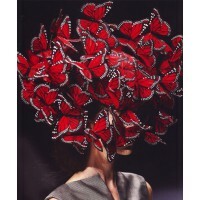 It will be accompanied by the butterfly headpiece by Alexander McQueen. She won’t need shoes, she says, as she will be in a bath of champagne at the time. Great to see hedonism is not dead, although everything else soon will be. 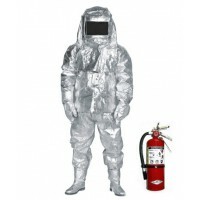 Ben (boss man) is playing it safe, nominating a fireproof suit, oxygen mask and steel capped boots. He also said he would be carrying a fire extinguisher, figuring where he’s going, he's going to need it. Well played Ben, well played. 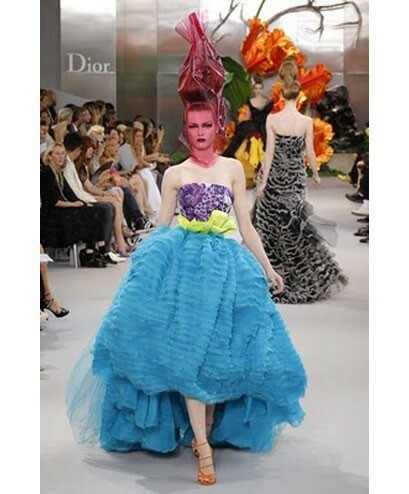 When asked to name her ultimate outfit, Monique (sales) immediately answered that she wanted the Versace Couture dress Sarah Jessica Parker wore for the SATC Paris storyline. 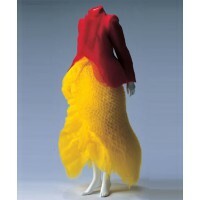 Hmm, all those frills look rather flammable, perhaps she’s hoping for a quick end? As for our writers, Haris Stavridis said “It's the end of the world as we know it... and I feel fine! 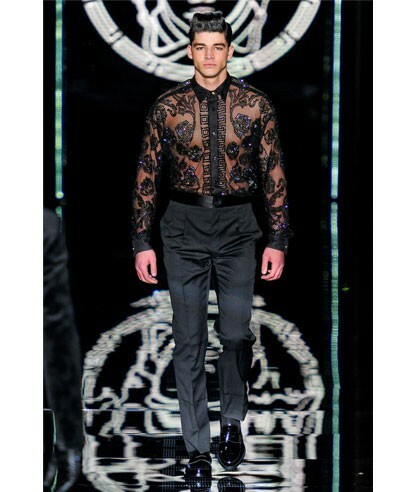 I never wear 'look-at-me' clothes, but I can't stop staring when something impossibly extravagant appears on the runway. 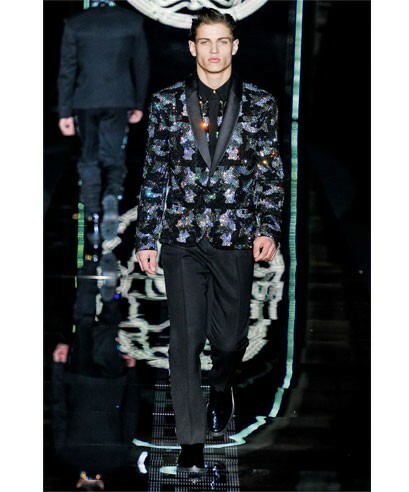 If the world is going to end with a big party, then I'm showing up in extreme Versace style, babe. Now, if only I could combine it with a shotgun for the impending zombie apocalypse...”. Yes, as the boy scouts say, “be prepared”. Caitlin Reid is going for a Vera Wang gown from the Spring 2013 collection. 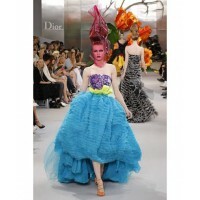 She says “this bright, rebellious, statement gown is ideal for end of the world revelry. I'm not getting married before 12/12/2012 so why not make the most of it?”. Too right Caitlin. 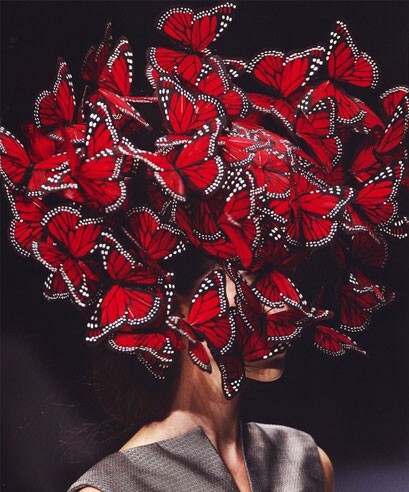 Thought that red colour may be just the thing to turn Beezlebub's head, so perhaps there's hope for a wedding afterall. Chloe Morello (beauty editor) is going for a crazy Viktor & Rolf dress, with built-in optical illusion. Hmm, it won’t matter if you try to make us think part of your legs have disappeared Chloe, your magic tricks won’t help you now! 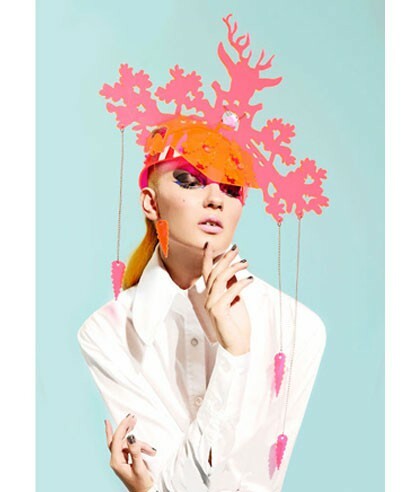 As for me, I’ll be wearing a dress and cuckoo clock headpiece from the Kitschfolk und Kindheit collection by Australian fashion wunderkind, Anna Langdon. Not that you can actually buy any of her pieces yet, (unless you’re Kimbra), but I figured if I grovel she might lend me one, just for the night (heh heh). It is the end of the world after all, and not a time to be stingy Anna. Like our outfits? Flamboyant lot aren’t we? What would your ultimate outfit be?